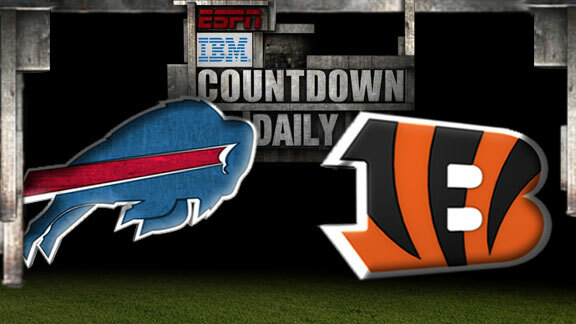 The Bills (3-2) play host to the Bengals (5-0) on early Sunday evening. I was really impressed with the way Buffalo started this season, dismantling both the Colts and the Dolphins and losing a shootout to the Patriots but they seemed to have slowed down over the last couple of weeks. They went down to the Giants and then just over came the Titans last week. Although they got the W it was done in hard fought fashion in a low scoring game. The Bengals however have been on a complete tear. Last week the Bengals came into the 4th quarter against Seattle chasing the game by 17 points. They kept their composure as did Dalton and ultimately came back to win the game in overtime. Dalton is a quarter back who comes under fire and people are quick to judge whether he can keep it together in high intensity situations, they do have a right to ask these questions of Mr Dalton as his record in post season is diabolical but I do believe what we saw last week may just be signs that the quarterback is beginning to learn and adapt when in these circumstances. Cincinnati has the 2nd best offence in terms of yards gained behind the Patriots. In the air they have options in the forms of A.J Green who has to be in anyone top 5 receivers in the league and the tight end Tyler Eifert. On the ground they have the duo of Hill and Bernard sharing the load of attack. Yes, the Bills did hold the Titans to 13 points last game but that is the Titans and they are no comparison to this Cincinnati offence, the Bills rank 16th in the league under Rex Ryan this year. The main worry for the Bills however is their ever growing injury list. QB Taylor suffered an MCL sprain last week after a nasty tackle, he made some miracle plays that got Buffalo out of trouble and won the game for the Bills. They also have running back LeSean McCoy who has missed the last two games with a hamstring injury but is expected to return on Sunday, it seems as though he is being rushed back which is not a good idea. Williams, McCoys back up, is uncertain whether he will take the field as of yet. Sammy Watkins who I really like came out this week slagging off this team will play but whether he will receive the ball much is another question. Overall the high flying Bengals are a much more well rounded team than the Bills even without the injury problems of the Bills and the line of -3 should be at least double that I do believe. 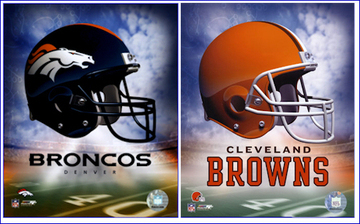 In my second pick of the week I am going to Cleveland where the Browns take on the undefeated Broncos. In my preview and predictions for last week I ranted about that Denver defence and it didn’t fail to produce the goods. I was worried when Ware went off but the Broncos hung in tough and saw the game out well. I do worry when Denver come up against a team with attacking threats all over the field. That may give them problems, asking Manning to win the game with the offence but I don’t think that time will come this week. The Browns have been involved in a few shoot outs this year against a few poor defensive teams but the Broncos will not stand for that and this game may play out a bit like the Raiders and the Lions games for the Broncos. They’re won’t be a huge number of points but the defence will do their job and Manning will just about do his. The worry for Denver once again is their run game. I predicted last week that they may improve on that side of things but it wasn’t really the case. The backs were pretty stifled which left Saunders and Thomas to carry the load of the attack. I am going to play the alternative here because this game might well go down to a field goal and it’s always a killer going down by a point.